Margaret learns a lot about her knitting by not knitting. 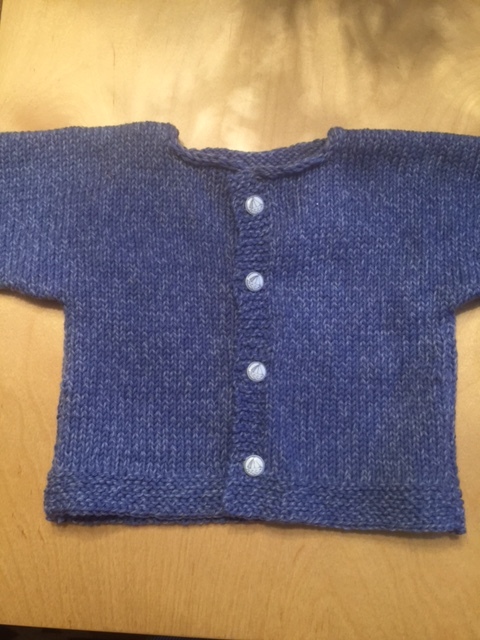 Cotton baby sweater knit by Jacque of Foggy Bottom Yarns in Ferndale, CA. She included a set of blue and pink buttons to customize it. Close up of Jacque’s sweater with the blue sail boat buttons. Below is the hand knitted baby sweater that she bought. 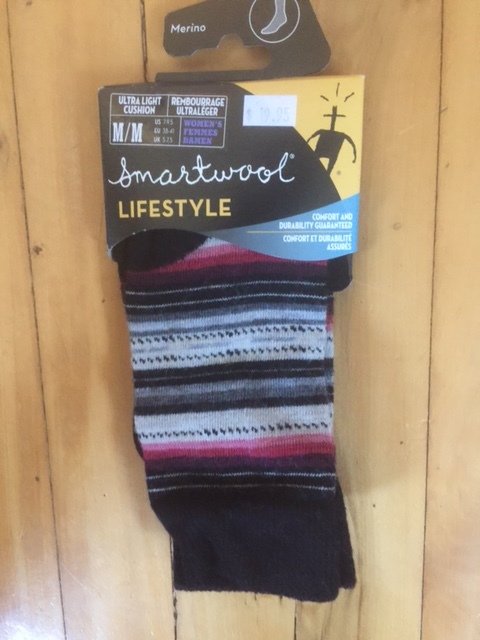 It was expertly knit by Jacque of Foggy Bottom Yarns in Ferndale, CA (https://www.yelp.com/biz/foggy-bottoms-ferndale) The other item is a pair of Smart Wool socks Margaret bought for her physical therapist. Not as nice as hand knit socks but a whole lot faster. 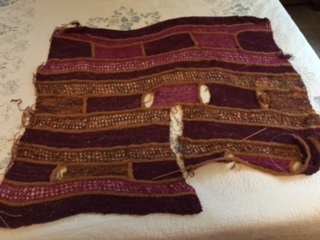 Catherine confronts some of the challenges of long term knitting projects, this time the Meadow Lark Shibori Jacket http://www.ravelry.com/patterns/library/meadowlark-shibori-jacket by Gina Wilde out of Alchemy yarns. When is learning like a piece of knitting? When it’s holistic and interconnected. Margaret shares the theories of Shawn Whitely from his now out-of-print book Memletics. Sweat lodge of Sumeg Village from the Redwood Coast website. « Ep. 47 Does Knitting Impact Your Brain like Breathing and Meditation ?